The IJC’s website has a new look and feel. If you’ve visited since Oct. 25, you’ve probably noticed the updates. The new site has a more modern design, loads faster and is easier to navigate. It contains the same useful information about IJC work over the past century, with some enhancements. This is the first major redesign in about six years. Perhaps the clearest change is how pages are laid out. Information has been reorganized to bring attention to the latest events, reports, newsletters and activities by the IJC. 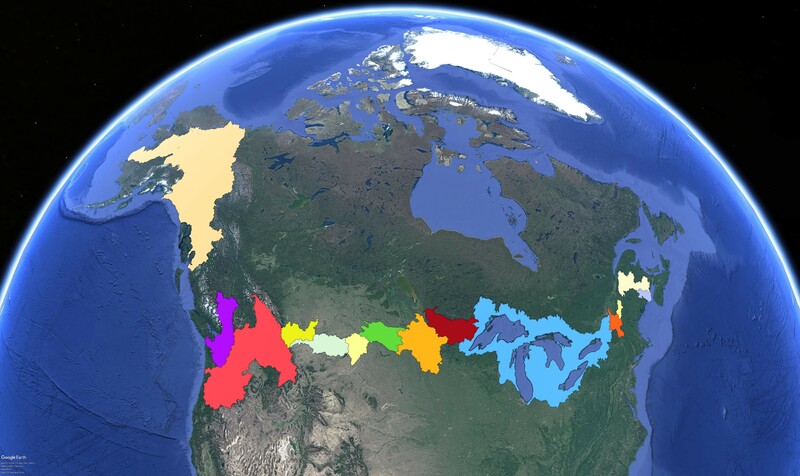 The front page has quick links to major topics you might be looking for, such as our regional boards, reports, International Watersheds Initiative that helps fund research projects and an overview of the transboundary watersheds we cover. 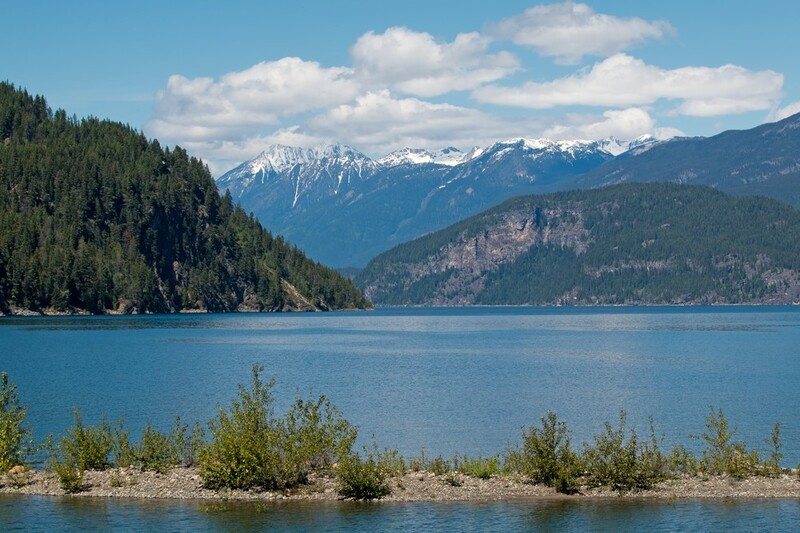 Each transboundary watershed has its own page where visitors can learn more about them and any ongoing IJC activities. Accordingly, board websites have been updated to match the main IJC site. The new board sites include information on what boards do and who serves on them, with built-in contact forms to reach members by email. Information on meeting minutes, press releases and upcoming events can be found along the top bar of each board site. Much like the old website, the new one includes a listing of completed boards and task forces, with additional historic information such as mission, membership and conclusions. 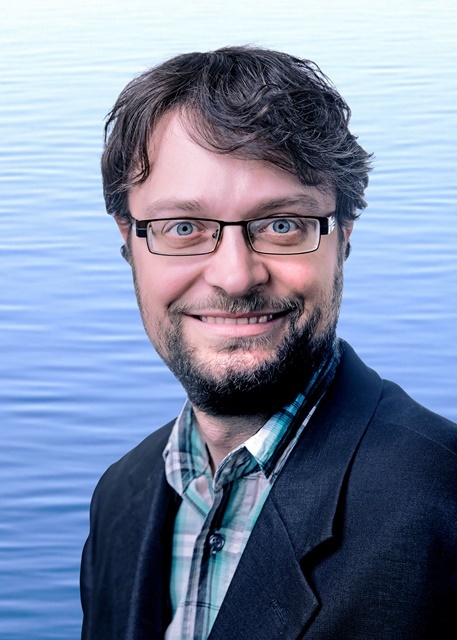 The new IJC website also features a robust search function that can bring up documents, news releases and articles dating back to the IJC’s founding after the signing of the Boundary Waters Treaty of 1909. Users also can view historical maps dating back to 1914 and check out interactive maps based on the latest geographic mapping technology. 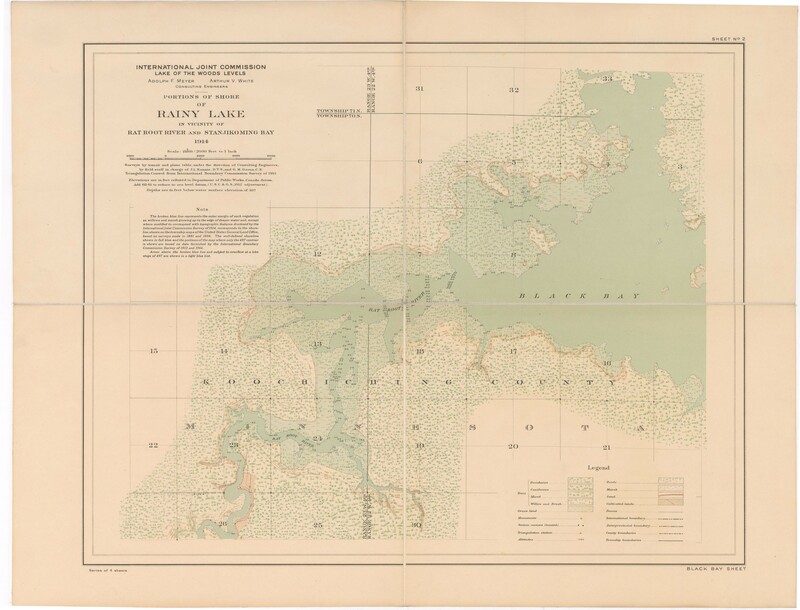 A 1914 map of Rainy Lake, which straddles Ontario and Minnesota. Finally, the new IJC website is designed to showcase the beauty of the lands and waters along the transboundary, with photos throughout. As with any new website, there are still bugs to be worked out. Let us know of any problems you might find by emailing one of our communications staff.